On Friday, November 2nd 2018, a group of United Way for the City of Kawartha Lakes Staff, Board members and volunteers met at the Crayola Canada factory to be presented with a cheque from the 30th Annual Crayola Sale. The sale is held every year at the Lindsay Exhibition Fairgrounds (LEX) and attracts shoppers from all over the province; some shoppers even travel from the United States. The sale creates both local and global impacts as several attendees return each year to purchase Crayola products for mission trips to Mexico, Cuba and even Zimbabwe! Other attendees purchase goods for Holiday presents, or as supplies for classrooms. 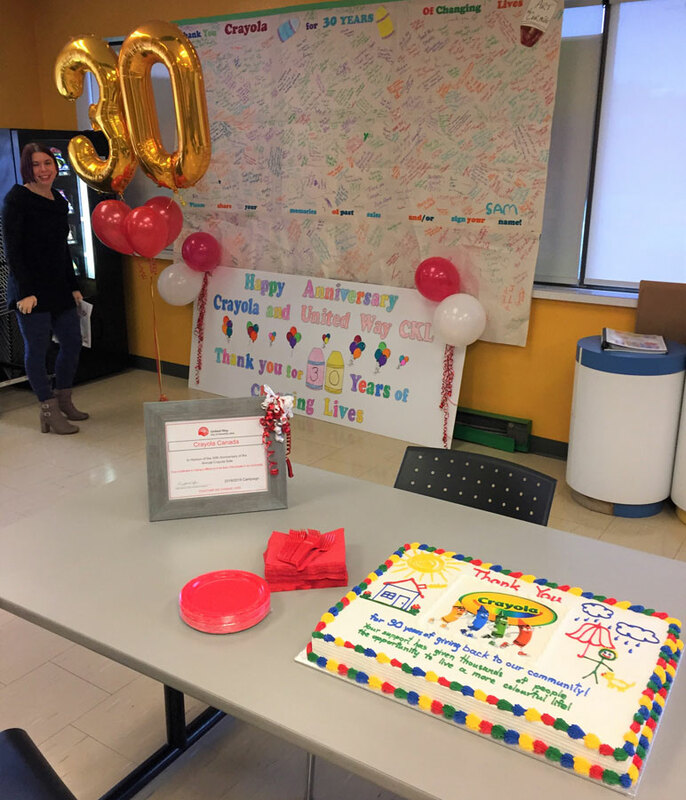 Last year, the team at Crayola Canada set a goal of raising $40,000 to reach a total of $1,000,000 donated to the United Way for the City of Kawartha Lakes over 29 years. This goal was exceeded in 2017, and the success was continued this year with another $42,620.80 raised. United Way will use these funds to continue implementing their vision statement of crafting human care agendas within and across our communities, building coalitions around these agendas and increasing investments in these agendas by expanding and diversifying resource development. 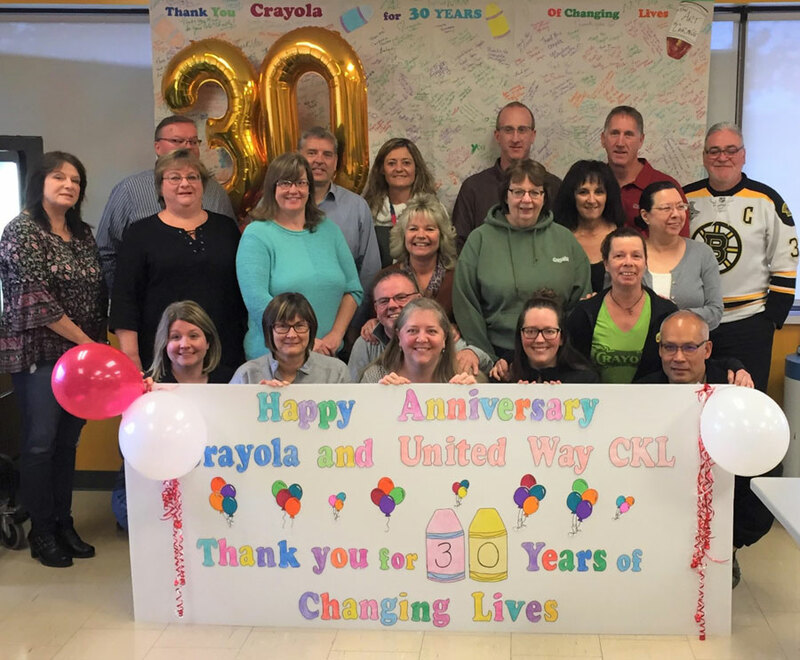 The staff, board members and volunteers at United Way work tirelessly to ensure that these investments have recognizable impacts, and extend their thanks to Crayola for leading the way for other businesses to invest in our community. 2018 thank you sign, cake, certificate and balloons. 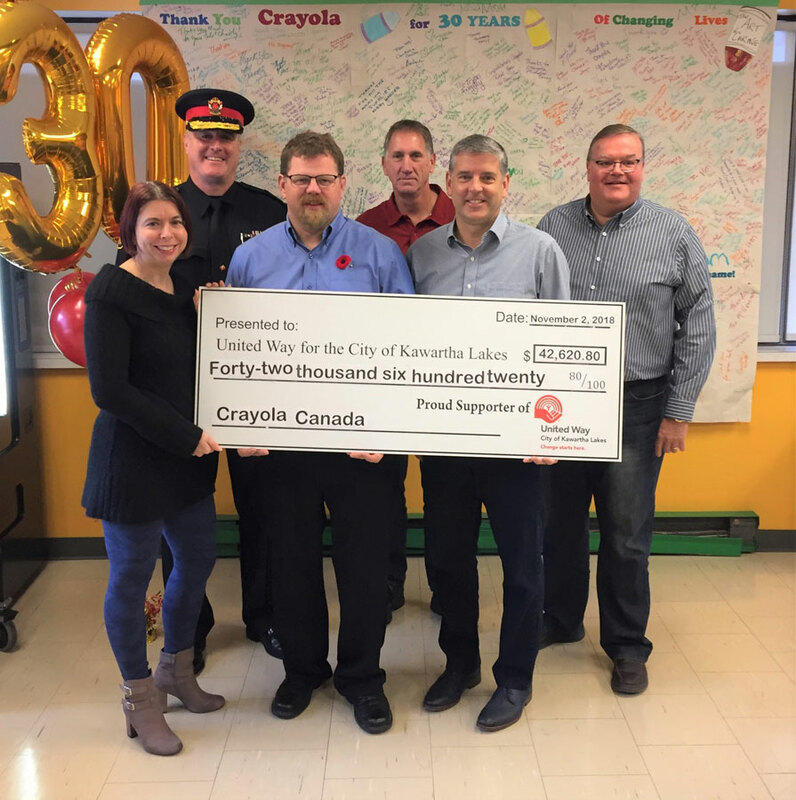 United Way for the City of Kawartha Lakes is grateful for their partnership with the Crayola Canada team and have recently launched an exciting development in this partnership. In 2019, Crayola Canada, Fleming College and United Way CKL will partner to develop 30,000 sq. ft. of unused land on the lot adjacent to the Crayola building into their largest Community Garden. Some of the funds raised at the 30th Annual Crayola Sale will go towards this Community Garden project, which will have the capacity to provide fresh produce to hundreds of people in the City of Kawartha Lakes. 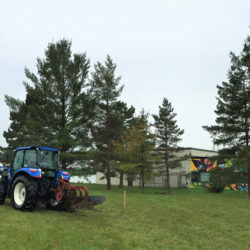 United Way for the City of Kawartha Lakes is embarking on a very exciting new Community Garden project in partnership with Crayola Canada, Fleming College Frost Campus, and Bob Mark New Holland. We have entered into a land use agreement to turn the 30,000 sq. 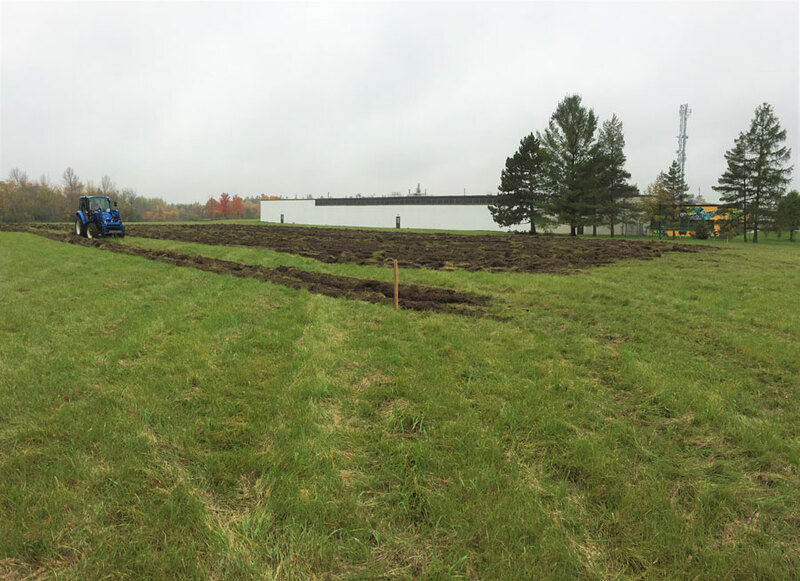 ft. of unused land at Crayola Canada into our largest ever Community Garden! This garden will enhance the availability of fresh produce for programs such as the Good Food Box, collective kitchens, Meals on Wheels, cooking classes, food banks, and food cupboards. Fleming College will provide expertise, while also offering students unique learning opportunities through school projects and volunteering. 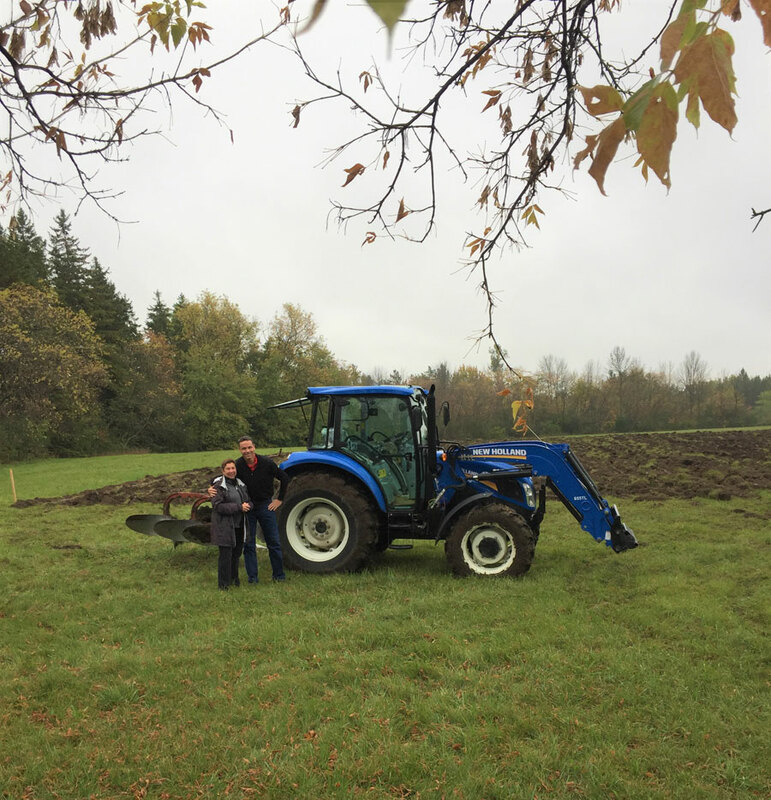 Bob Mark New Holland will provide equipment and expertise as they volunteered to do our first ground breaking in October of 2018. 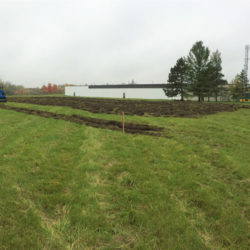 The community garden will be a closed space, fenced in and locked, with access limited to staff and volunteers from United Way and Fleming College, as well as agencies involved in the programming. Community gardens yield more than food, they also provide many teaching opportunities and draw people together to help strengthen our neighbourhoods. See below for some pictures of our first ground breaking, on Monday October 15th, 2018. Can you imagine a garden here?! Next spring there will be! United Way has been working on food security initiatives for many years. We manage 40 community garden plots and have helped to build over 70 more plots throughout City of Kawartha Lakes and Haliburton. One of our goals is to increase the yields of fresh produce to use through the good food box program, collective kitchens, Meals on Wheels, cooking classes, food banks and food cupboards. Crayola Canada is a proud supporter of the United Way for the City of Kawartha Lakes. They are always looking for ways to further support our United Way. On their property they have 30,000 square feet of unused land. They believe that this land should be used to benefit the community. Crayola has entered into a land use agreement with United Way for the City of Kawartha Lakes. This land will be used for large scale gardening and harvesting of produce to benefit the community. Fleming College is also part of this groundbreaking project. For many years, Fleming College has been a community partner on several initiatives with the United Way and some of its funded agencies. They will be providing equipment and expertise to assist with this food security initiative. This project will also offer their students unique learning opportunities through school projects, volunteering, placements and paid internships. 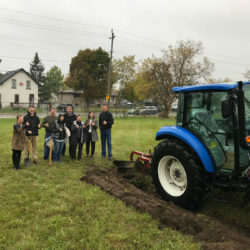 The United Way for the City of Kawartha Lakes is grateful to Crayola for the use of this land which will be used to grow food and provide learning opportunities for students at all levels. Thank you to Fleming College for their dedication to this project, as they helped us with our initial strategic planning. Thank you also to Roger Hill from Hill’s Florist and Greenhouse who created preliminary designs for the space. 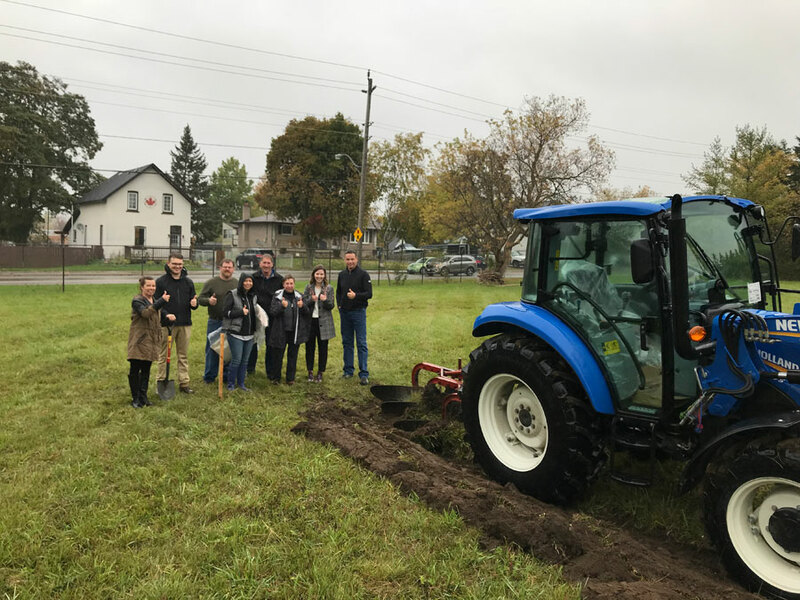 This social innovation garden project will enhance the availability of fresh produce for programs such as the Good Food Box, collective kitchens, Meals on Wheels, cooking classes, food banks, food cupboards and the Kawartha Lakes Food Source. This project is a true testament to what is possible when we come together as a community. 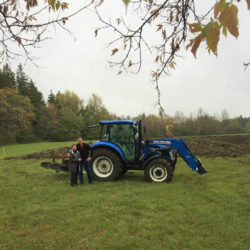 This fall the ground will be ploughed in preparation for planting in the spring!